Whether for Valentine's Day, Mother's Day, a Birthday or just to make someone's day a little brighter, breakfast in bed is a great way to make any morning special. 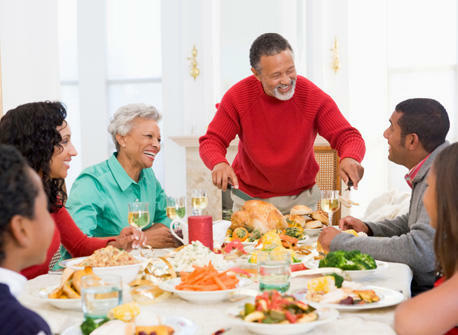 Treat someone close to you to a little pampering and surprise them with a catered meal prepared with love. Create a pleasure for the senses over the holiday celebrations. Whether it’s with your Mother or with some close friends, there’s nothing quite like sharing good times in their company over a pot of piping tea and a few sweet treats. A well-stocked basket for a perfect picnic! Have fun and create unforgettable moments with easy and delicious picnic-ready recipes and tips. Girls’ night...time for a little fun! Invite your sisters, girlfriends, and neighbours! An evening with the girls is underway. The latest trends in cooking include using local and seasonal ingredients, wild foods, and serving smaller meals in individual formats. Take a look at what’s in now! Homemade gifts are touching and personal and when they are made with delicious gourmet food items they are sure to please anyone on your list. Planning a celebration, a preview of the Holidays! November means the Holidays are just around the corner. We start thinking of the recipes we’d like to prepare and the menus we’d like to plan. But does planning a celebration and a multi-course meal make you nervous?